Here's a new category for the blog — blanket ephemera. This is the small tag that's sew into a multicolored wool blanket that's been in our family for decades. 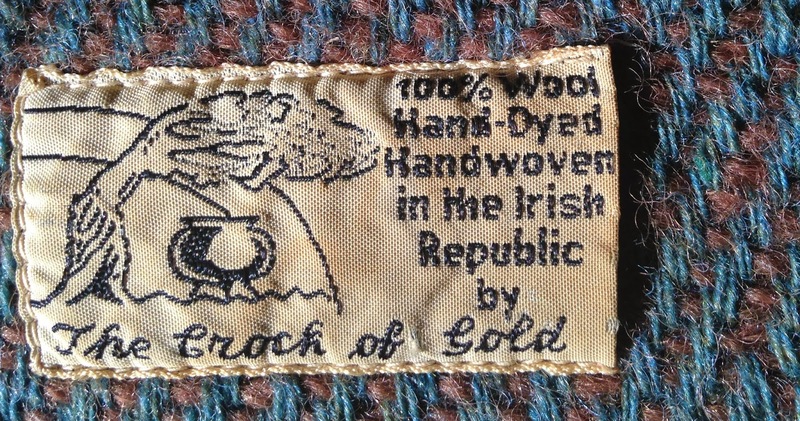 The blanket was produced in the Irish Republic. If we take those two words, in that order, at face value, that means we can possibly date this blanket's creation to sometime between 1919 to 1922. That's when the Irish Republic (Saorstát Éireann) was in its short period of existence, to be replaced by the Irish Free State and Northern Ireland, under the Partition of Ireland. 1. Or maybe it's a gnarled hand holding a cloud or a fistful of wool.